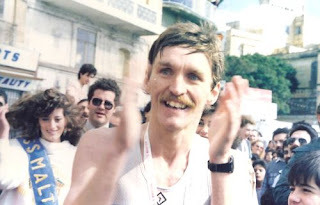 Having relaunched the blog yesterday on my birthday, it seems appropriate to continue by introducing one of the most significant influences on my running thinking on his birthday. Or rather what would have been his birthday, for this year is the first one since his passing last summer. They say you always remember where you were when something significant happens, though that's not normally true for me, but I will always remember where I was when I got the awful, gut wrenching news that Hadd had passed away at a ridiculously early age. 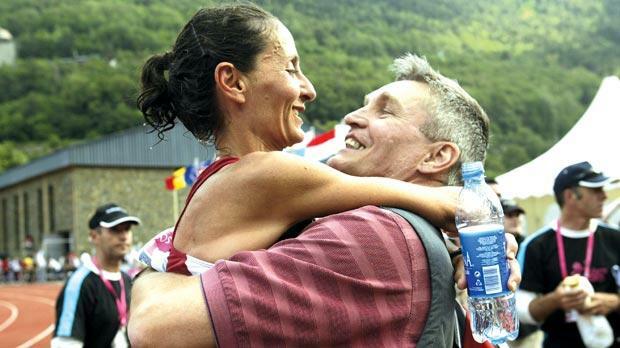 John Walsh was a running coach / guru originally from Scotland who lived in Malta with his wife, accomplished marathon runner, Carol. He was the founder and organiser of the Malta Marathon. But for the bulk of the time that I was in contact with him I did not even know his name; to me, and to many like me, he was simply "Hadd". That was his login name on the infamous Let's Run message board. His posting there stood out from the crowd - he knew his physiology and he also had the character and mystique typical of the best coaches; there was certainly something very Lydiardesque about him as a person, as well as with his approach to training. His insight was nothing short of profound - not simply in regards to training theory but also, if not more so, with his practical applications to individuals. 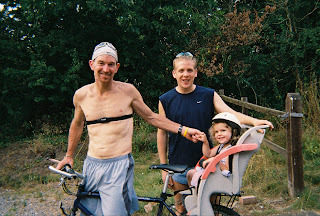 There was a little gang of us that got together on a private forum where "Hadd" would advise us in our running, but it was so much more than that: he connected so firmly with us and understood us so well despite never having met us (at least not initially). He was so generous to us with his time, with his affections, with himself; this cannot be overstated - a man of his greatness had no business associating with us (none of us were running greats) let alone assisting us. And so we adored him. As it has been said, "Hadd has a fatal flaw; he cannot see someone doing something badly – yet with all their heart – and not want to do something to help." And that certainly applied to me; he once said to me, "I will do all I can. If I ask for 100% during training and the race, I believe the athlete has every right to expect the same from me in setting their training. Although this is all online and we've never met and all that jazz, I never take any runner's hopes and dreams lightly." Gang founder "Jay" pointed out after his death that, despite the fact that we all knew who he was by then, nobody "outed" him. That was a measure of the respect we all had for him. And I hope he was fond of us too - he certainly loved us in deed. And what an adventure it was! The progress made by "Pete", a Canadian masters runner, was a highlight, as were some great times put down by our star runner "CD". Friends were made, lessons were learned; runners ran faster, people grew. Characters abounded like "Woody" who even came across the Atlantic for a visit, "Flagpole" who got his own "special place" and "JONeill" who got to know Hadd better than any of us. But we were all richly blessed for knowing him. So what did he preach? What was his training philosophy? Well, it certainly can't all be wrapped up in a single post (and I hope and pray that one day somebody gets all his ideas, thoughts, principles and methods down in a book), but certainly the introduction that we all had to his approach was what came to be known as "Phase 1". You can read that HERE. This is of course just the beginning of what we learnt from him. On occasion he was criticised by a few who misunderstood and thought that "Phase 1" was the entirety of his approach, which of course it was not. Seeing how, post Phase 1, he would advise a predominately fast twitch runner like "Pete" compared to a classic slow twitcher like "CD" was amazingly insightful; there was much discussion on these principles and I think his genius was seen there as much as anywhere else in his training approach. There is so much more that I want to say about what I learned from Hadd and he will be mentioned and referenced here time and again, no doubt. If you are intrigued and want more now, you can read a brief bio HERE and his tribute thread at Let's Run. And if you go to the Let's Run message board and search for "Hadd" you will have enough gems to delight you for days! Oh, and one thing that was very clear if you conversed with him even a little bit: he really loved his wife and he got huge delight out of working hard to serve her as well as he could as her coach (as well as her husband). And why "Hadd" as a moniker? Apparently it means "nobody"... What a guy! Great Stuff, Pants! As a fellow Haddite, albeit one with very little natural endurance, I can attest that his system - with modifications for my own specific physiology - worked for me as well. Very cool writeup, Pants, and I'm honored to make a cameo. John Walsh - Incredible coach, mentor, and friend. He knew more about running than anyone I've ever met. His coaching, as you noted, was nothing short of phenomenal. That said, he was an even greater mentor and friend. His impact on me was profound. What a good article about my husband! Because of John I got the opportunity to meet all you great people - The Haddites! I still treasure the memories of those times in Colorado and Oregon. Yes John did love the group and only I know about the long hours he used to spend on the net with you guys. It seems it was time very well spent. I am honoured that you have posted, more so that your comment was positive. I did not make the trip to Colorado or Oregon sadly, but you have been in my heart and my prayers.